Domaine Frantz Chagnoleau is a small estate run by two talented winemakers, Frantz Chagnoleau and his wife Caroline Gon (winemaker at Heritiers du Comte Lafon). Frantz has a degree in Oenology and cut his teeth working for Olivier Merlin in the Mâconnais. Caroline holds two degrees in agricultural engineering and oenology; she worked at Newton Vineyards in Napa Valley before returning to France to work with Dominique Lafon as head winemaker for Héritiers du Comte Lafon. The relationship with Dominque as a friend and mentor has had a great influence on the couple, which is evident in a lineup of pure, terroir driven Mâconnais wines. Since 2013 all of the vineyards have been certified organic. As with Lafon, this dynamic duo believe in minimal intervention, which includes the use of only indigenous yeast, as the best way to express the nuances of each unique terroir. Aging is done in mostly large, used French oak, harvest is done completely by hand on a plot by plot basis, allowing each vine to achieve the appropriate balance of sugar and acidity before being picked. 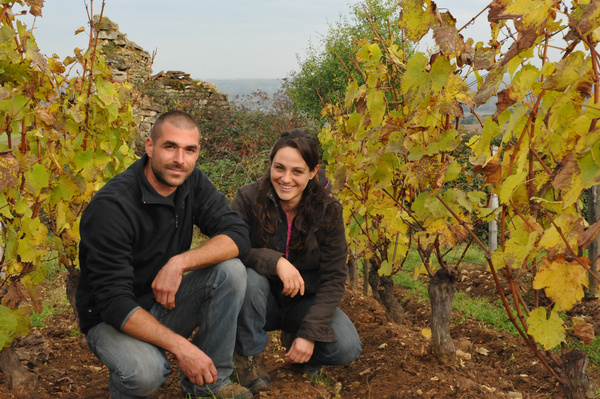 This dynamic duo is one of the most talented teams in all of Burgundy, farming the old-fashioned way and making micro-quantities of single vineyard White Burgundy from some of the finest Chardonnay terroir in the world.